Everest Region trekking is the first choice hiking destination in Nepal. It is popular because, this is well known to every adventure and nature lovers. This Trek provides lifelong impression of mighty Mt. Everest, the worlds’ highest mountain in the world, the birth place of world renowned Sherpa climbers. Everest trekking route is located in the north-east part of the country. 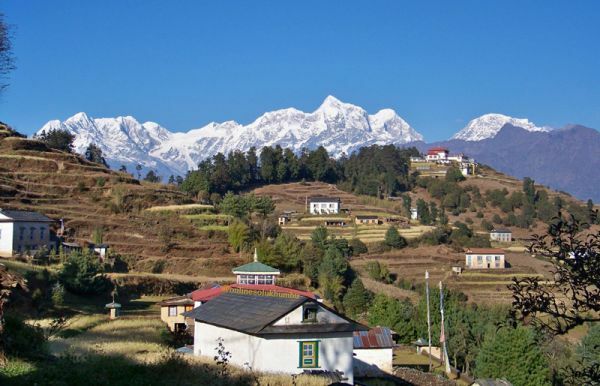 The trekking to this region has been popular ever since the Everest Expedition brought the first human beings on the top of the world, Tenjing Norgey Sherpa and Sir Edmund Hillary first made successful summit to Mt. Everest back in 1953. Everest region trekking addresses verities of choices adventure to non adventure, few days to a month long hiking, trekking and climbing the peaks. The Everest Base Camp Trek, Everest Base camp-Chola Pass- Gokyo lake trek, Everest Base Camp- Cho La pass- Renjo La pass trek and Everest 3 high pass trek are popular trekking routes. For making the best choice of itinerary to your requirements there are some side trip activities. During the Everest trekking you will be able to capture a dozens of mountains lying along the areas including of Mt. Everest (8,848 m), Mt. Lhotse, Mt. Nuptse, Mt. 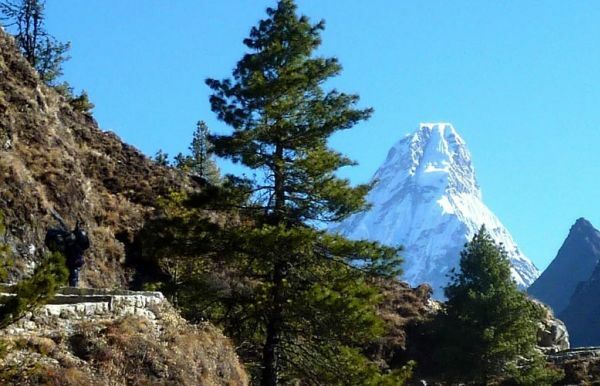 Amadablam, Mt. Pumori , Mt. Thamserku , Mt.Kangtega, Mt. Cho Oyu to name a few. Not only mountains to see but also feel the peace of mind which is very essentials things from being a part from your daily life. Along the trails you will have chances to visit Gompas (monasteries) and get blessed by the monks, you can automatically feel the peace of mind as soon as you enter into the premises this is why we call Lord Buddha a symbol of Peace and Love. Tengboche monastery is the most popular Gompa all entire the Everest Region trekking. For special functions the re incarnated monks visits the monastery. Besides these, you will also have chance to explore the lifestyles, culture and warm hospitality of local people(Sherpa people), who are well known for valor, loyalty and friendliness, since the trail passes through the settlement of Sherpa ethic groups. Similarly, you will have chances to explore Buddhists monastery, statue, Mane, Chorten etc. 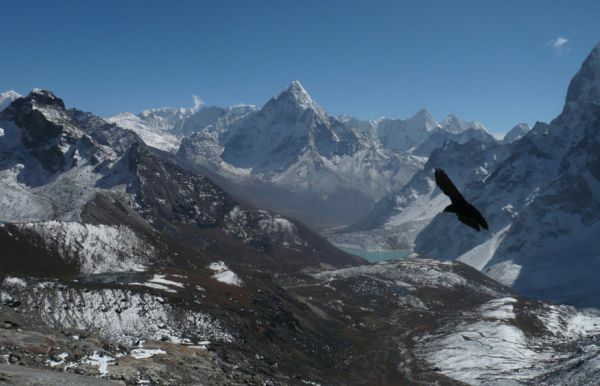 Everest region trekking is protected by the Sagarmatha National Park established in 1976, covering an area of 1148 sq. km. This park is also been listed under the world natural heritage sites by the United Nations Educational, Scientific and Cultural Organization (UNESCO). This park is home to numerous endanger animals, birds it is believed that Everest region holds the mountain man, called Yeti. You can observe the skull of Yeti at Khumjung monastery. 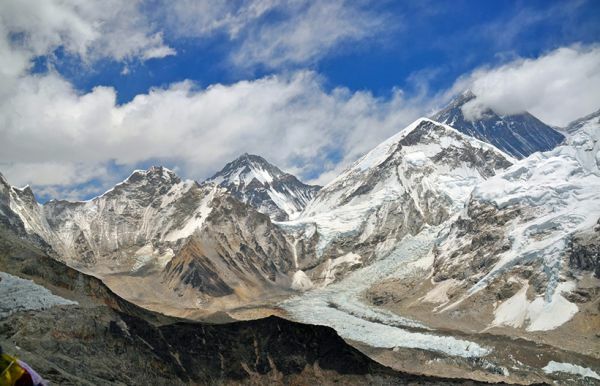 Everest region trekking is located at the high altitude area. Therefore, you need not only be physically fit but also to have courage to walk along the high altitude trail and passes. But it does not mean, the Everest Trekking is only for physically fit travelers, considering this fact those who don’t want to walk at the high altitude can trek up to Namche and go to Everest view to see the Mt. Everest and get back to Lukla and Kathmandu. And those who want to do all the major sightseeing of Everest region in a single day can do a helicopter tour. Nature Adventure Trekking and Expedition Pvt. Ltd arranges all sort of trekking, peak climbing and mountaineering in Everest region and all over Nepal trekking route. We arrange Everest trekking as a tea house and camping trek. Since there are many well facilitated lodges and inns in the region we focus on tea house trekking. Which is viable at low cost and less preparation to do the Everest Trekking. 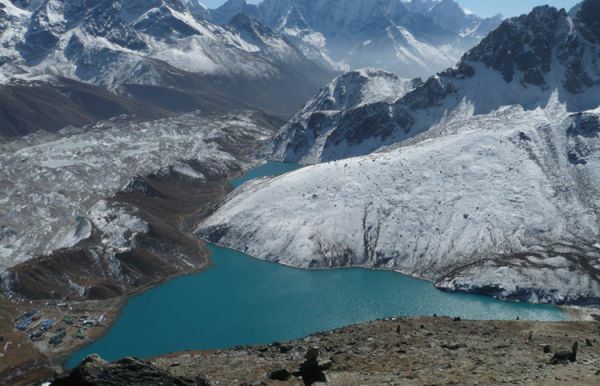 March to May in autumn and September to November is the best time to trek in the Everest region.